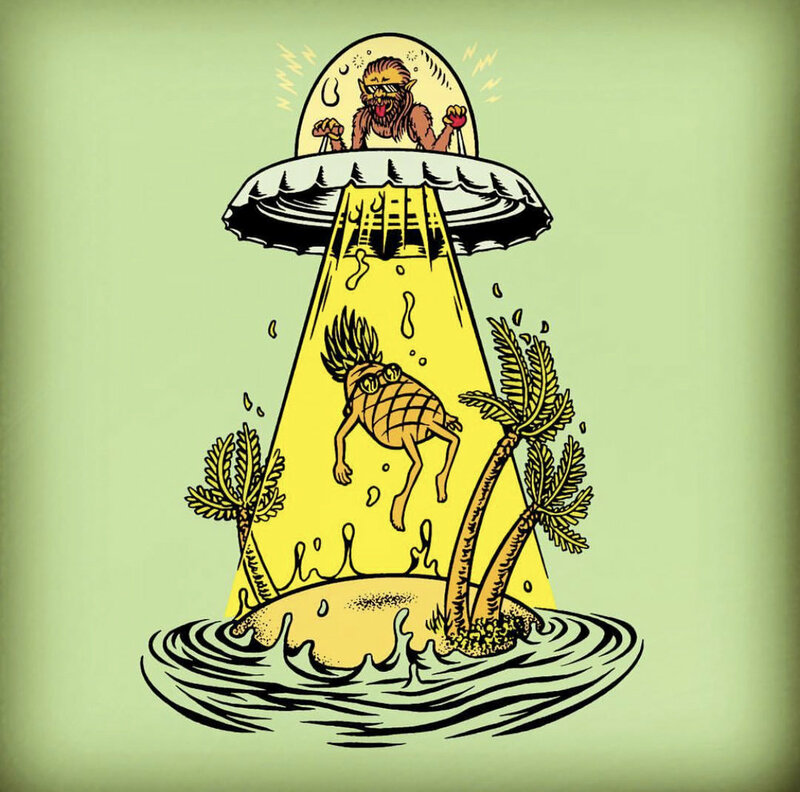 Get ready for some epic IPA radness from our friends at Modern Times Beer as we tap Sun Secret, a special collaboration beer brewed with Beer Savage just for Hawaii. Dig into your closet and bust out your favorite and most colorful aloha shirt as well! The team at MT used Hawaii as the inspiration for this Hazy IPA with a pilsner base, a bunch of torrified wheat and a touch of flaked wheat. It was dry hopped with experimental hop 06277 and Amarillo and then they added a bunch of pineapple puree. Finally it was topped off with a touch of lime zest. It’s a deeply fruity, jaw-droppingly refreshing explosion of citrusy & tropical hops, escalated to unreasonable levels of flavor via the kindred spirits of their adjacent fruits. It drinks like a tropical cocktail! 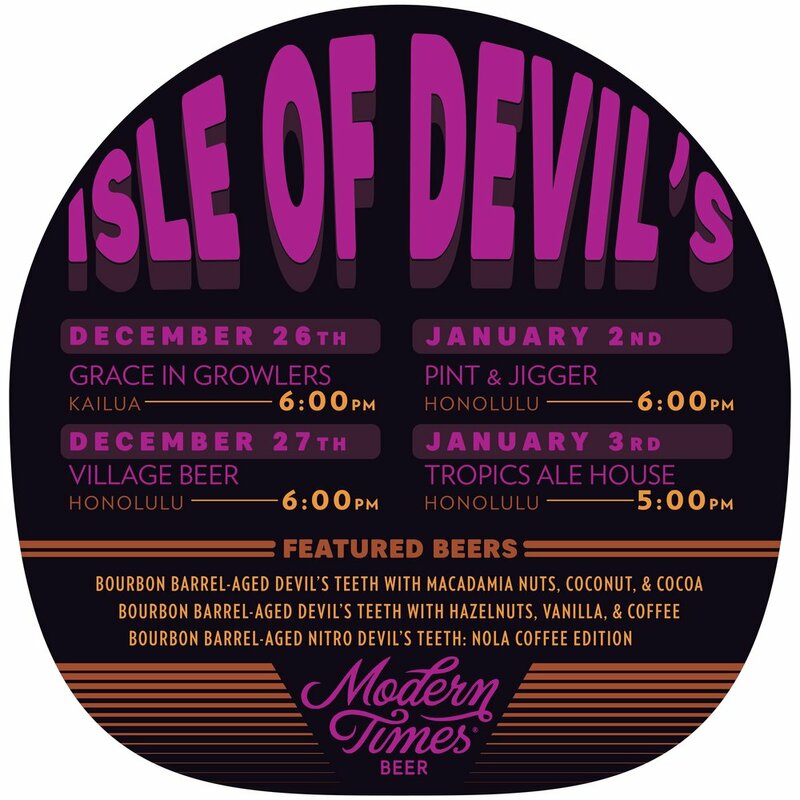 We will also be serving up some special Modern Times Fruitlands cocktails to get you grooving on this epic Aloha Friday! A refreshing combo of Fruitlands, agave syrup, lime and Plantation Pineapple Rum will become your go to weekend cocktail. Wear your most outrageous aloha shirt to the party. Everyone who wears an aloha shirts gets a free gift. Party starts at 6pm next Friday (4/12) at Village Bottle Shop & Tasting Room in SALT at Our Kaka’ako. We’re super stoked to have collaborated with our friends Inu Island Ales on this rad Coconut Hazy IPA with Mosaic and Citra hops. 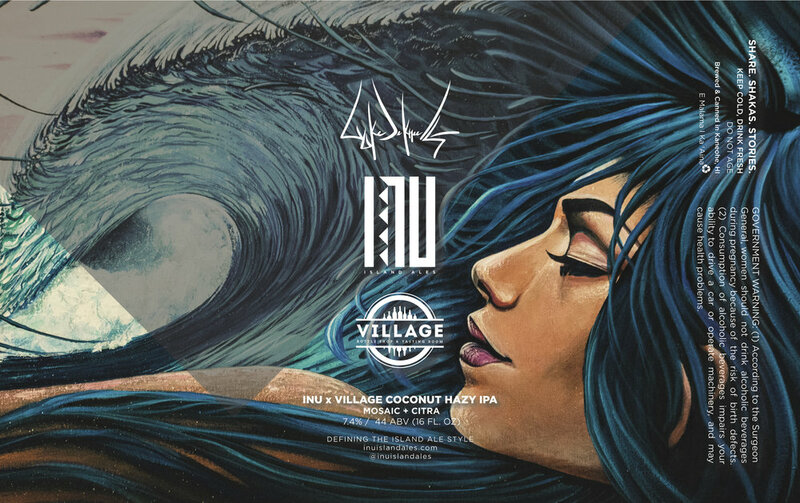 The crew from Village Bottle Shop & Tasting Room teamed up with the team from Inu to brew a hazy IPA that is loaded with ripe and vibrant coconut flavors that compliment the huge pineapple and tangerine aromas from the hops. Join us on Saturday, April 6th from 5pm - 11pm for the release of the cans at Village at Salt at Our Kaka’ako. We’ll also have our beer garden open along with 5 beers on tap from Inu. 4 packs will go on sale at 5pm. We are also very excited to have teamed up with artist Luke DeKneef for the incredibly rad label art. Luke is a local artist, who like us, loves being in the ocean and takes a lot of inspiration from the water. Be sure to check out more of Luke’s work by following him on Instagram or Facebook! 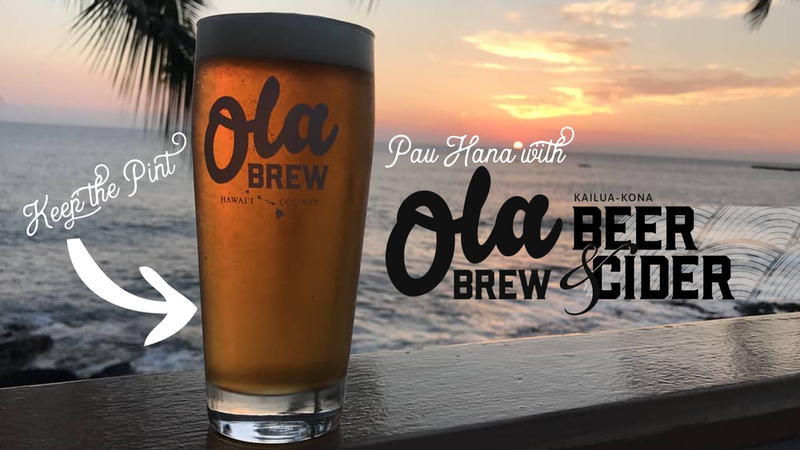 Come hang out with the crew from Kona's Ola Brew for a special Pau Hana as we tap some of their awesome beers & ciders. As a special treat the first customers will receive a free Ola glass to take home. We're celebrating the arrival of Ola Brew Co.’s kegs to Oahu and can't wait to share some of their locally crafted beers and ciders with you. Come early, snag a sweet pint glass, support a growing local brewery and say hi to some of the crew from Kona. 3 hour validated parking at SALT at Our Kaka’ako. 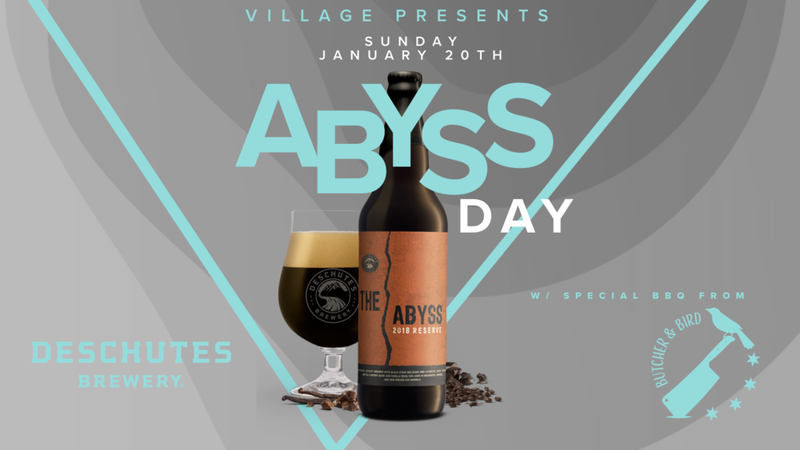 Join us on Sunday, 1/20/19, to celebrate the Hawaii release of Deschutes Brewing 2018 Abyss. Since 2006 Deschutes has released this 11.2% Imperial Stout aged in various spirits and wine barrels with Blackstrap Molasses, Brewer’s Licorice, Vanilla Beans & Cherry Bark. Plus our friends at Butcher & Bird will also be cooking up Abyss BBQ Brunch plates. That’s right…Abyss and BBQ! 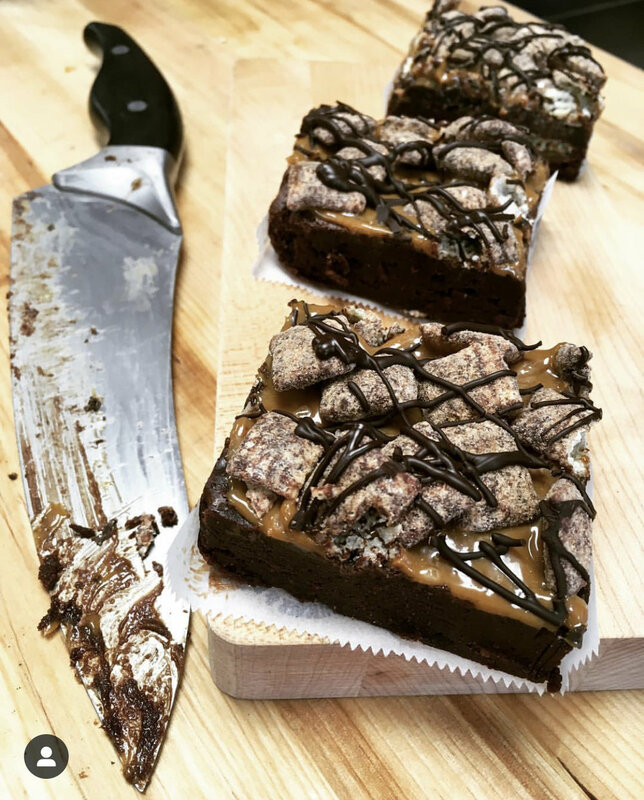 Plus the amazing Brownie Butcher will be whipping up a custom batch of Abyss Brownies. Bottles & draft available when we open at 11am and all day while supplies last. 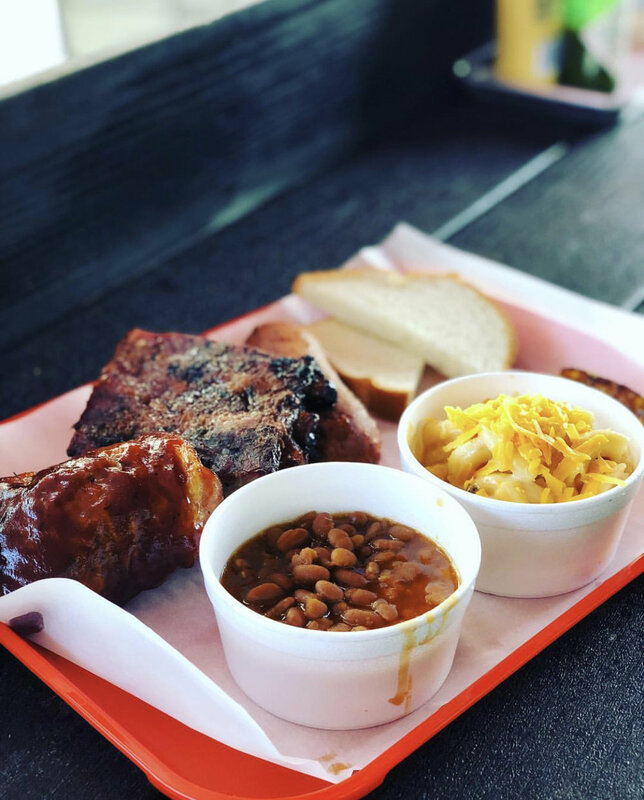 Butcher & Bird BBQ from 11am - 2pm, so don’t wait on getting the goods! What better way to shake off all of those huge holiday meals than by drinking some even bigger pastry stouts from our friends at Modern Times Beer! Don’t miss out on digging into these super rad (and rare) variants of Devil’s Teeth. A huge, adjunct laden imperial stout slowly aged in Bourbon barrels, Devil’s Teeth is that sweet, sensual treat you need after a long holiday break! Join Village Bottle Shop & Tasting Room on Thursday, December 27th, from 6-11pm as we tap three bomb versions of Devil’s Teeth. Lets spread the craft beer love Honolulu! Jolly Pumpkin & Big Island Brewhaus Collab Release! But we are super stoked to finally be releasing the bottles from this amazing collaboration between Jolly Pumpkin Artisan Ales - Dexter & Big Island Brewhaus. The two breweries and head brewers, Ron and Tom, are close friends and incredible brewers. Join us as we release the bottles of Best Lei'd, Plans and Best Lei'd Plans as well as a very special, single keg of Bourbon Barrel Aged Best Lei'd Plans. Here's the deets on the three beers. You'll want to buy them as a set to fully enjoy them. Best Lei'd Plans is a blend of Best Lei'd and Plans ;). This sour dry hopped fruited ale was brewed in collaboration with our friend Tom, from Big Island Brewhaus. This is part one of a three-part series and includes Amarillo, Citra, and Centennial hops followed by grapefruit before being dry hopped with Hallertaur Blanc and Cascade. The dry hop addition helps lend softer notes of juicy grapefruit and citrus. Finishing with a nice Jolly Pumpkin funk and moderate bitterness. I first “e” met Tom Kerns when he was brewing at a brewpub, Maui Fish and Game Brewing Company. Laurie and I were thinking about my taking a job as Head Brewer on Kauai, and Tom was discussing distributor / small brewer relations. Add a few more years, Tom and Jayne buy Tako Taco, and after a lot of hard work, open Big Island Brewhaus. It quickly becomes the favorite stop for tacos, burritos, and Tom’s wonderful beers. This sour fruited ale was brewed in collaboration with our friend Tom, from Big Island Brewhaus. This beer is part two of a three-part series and includes Amarillo, Cascade, and Citra hops followed by additions of cherry and grapefruit. The tart cherry accentuates the dry grapefruit, leaving a lingering bitterness on the tongue. Full of grapefruit pith, oak, and funk, with a very subtle dry cherry finish. The fruit is decided, the hops and grains ordered. All in plenty of time. Because the one thing you don’t want to come up short on, is time. 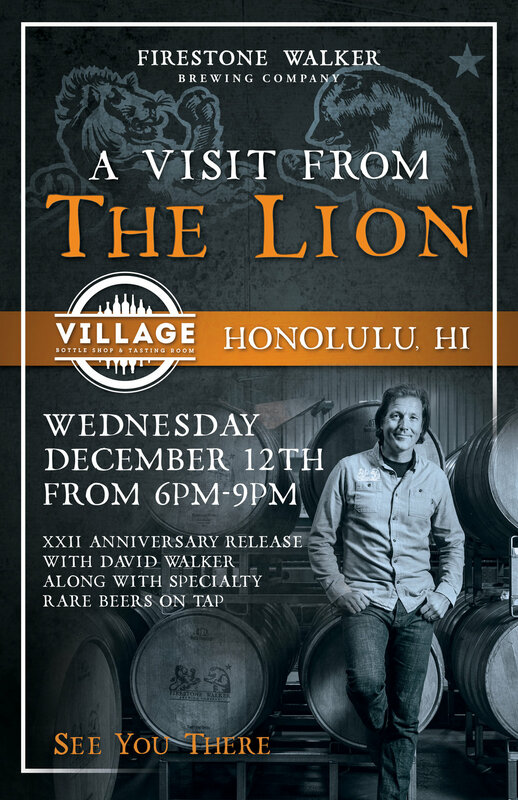 Join Firestone Walker Brewing Co. 's David Walker at Village as we release the XXII Anniversary Ale. Don't miss the chance to meet a legend in the brewing industry and grab a bottle of this amazing and special blended barrel aged beer (and possibly get David to autograph the box!). On top of having bottles of XXII we will also have it on draft along with the four components that make up this blended beer! Stickee Monkee (Central Coast quad, 44%), Parabola (Russian imperial oatmeal stout, 22%), Bravo (imperial brown ale, 22%) and Helldorado (blonde barleywine, 12%) will all be on draft so you can taste the individual beers that got blended into making XXII. Pink Elephant Night Is Back! Delirium Night is back for the third year in a row on Thursday, December 6th from 6-11pm! Our favorite pink elephant beer from Belgium will be showing up in force with a few of his friends. 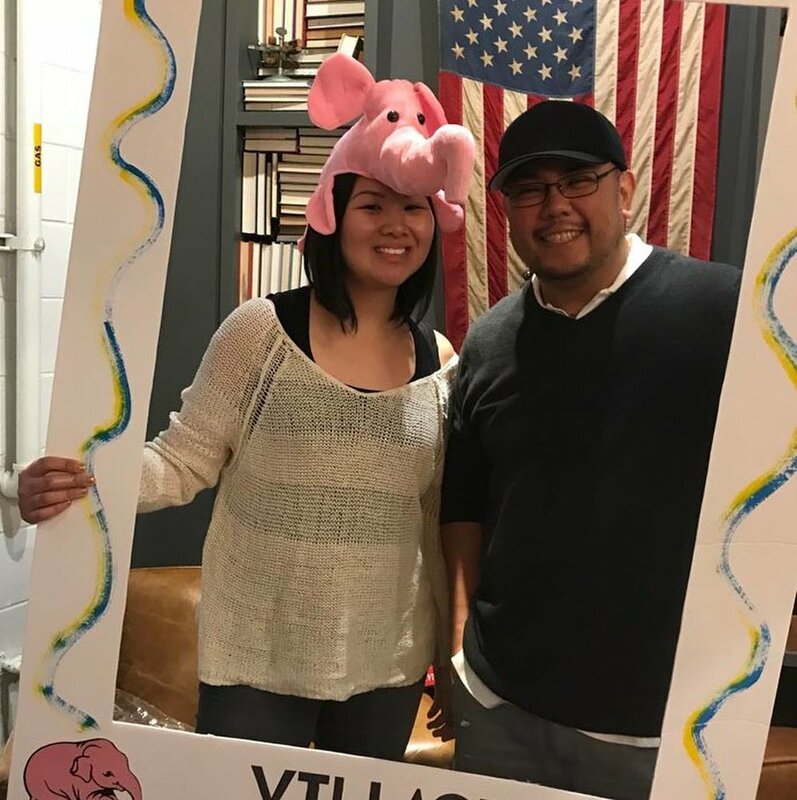 It's time to throw on those pink hats, drink with friends and have a great time. Join us as we tap Delirium Tremens, Noel, Nocturnum and Red. We'll have lots of great giveaways and our picture board (still going strong)!